It’s about family at Betham Brothers! 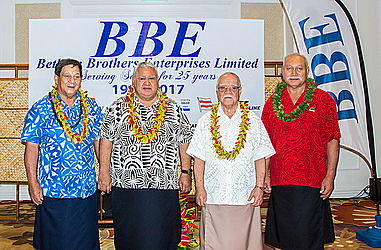 Betham Brothers Enterprises celebrated their 25th birthday at Sheraton Samoa Aggie Grey’s Hotel and Bungalows on Friday night. Prime Minister Tuilaepa Sa’ilele Malielegaoi, Member of the Council of Deputies, Le Mamea Ropati, Betham Brothers family, friends, business partners all gathered to celebrate the milestone. Managing Director, Fanene Mark Betham, said the success of the company is all about the family unit. “Our Betham family is a very close knit family and this is reflected in the story of how Betham Brothers Enterprises was born twenty five years ago,” he said. “It all started back in 1992 when Burns Philp South Seas Company decided to close all their locations in the Pacific including Samoa." “At that time, our eldest brother Masoe Henry Betham was the Shipping Manager for Burns Philp, a position he held for a very long time until he was retired in 1992." “On his retirement, Masoe still thought very seriously about doing something very similar in the area of shipping"
“So Masoe called upon us; his brothers, if we were all interested in pulling all of our resources together to purchase the Burns Philp Shipping Division. The sale was done and Betham Brothers Enterprises was established in 1992." 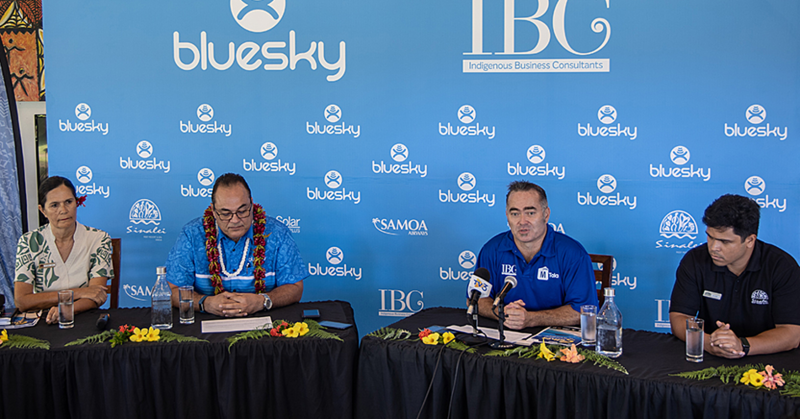 “Masoe Henry at the time was still in very good health and had so much experience with his shipping work, so the brothers agreed and appointed him to be the Managing Director of B.B.E." “We have had our ups and downs to try and make B.B.E. work. We started off with only a staff of five and worked our way to where we are today with a total combined staff of 38. “We have extended our head offices both here in town and at Matautu and our relationships with our local and overseas partners and principals continue to grow." “Of course we did not get to where we are now without the help and support of our families and friends, our business partners, our advisors, our principals and customers." “At this time, I want to also acknowledge and pay tribute to two of our founding directors who are no longer with us, our brothers Masoe Henry Betham and Afamasaga Daniel Betham." Fanene acknowledged Prime Minister Tuilaepa Sa’ilele Malielegaoi for his great help along the way as well as Member of the Council of Deputies Le Mamea Ropati and their long time business partner, Yazaki Samoa. 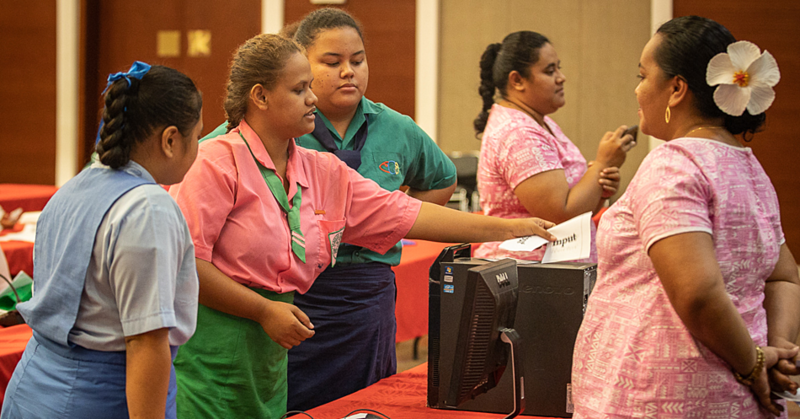 Prime Minister Tuilaepa congratulated Betham Brothers for its contribution to the development of Samoa, especially creating much needed employment opportunities. 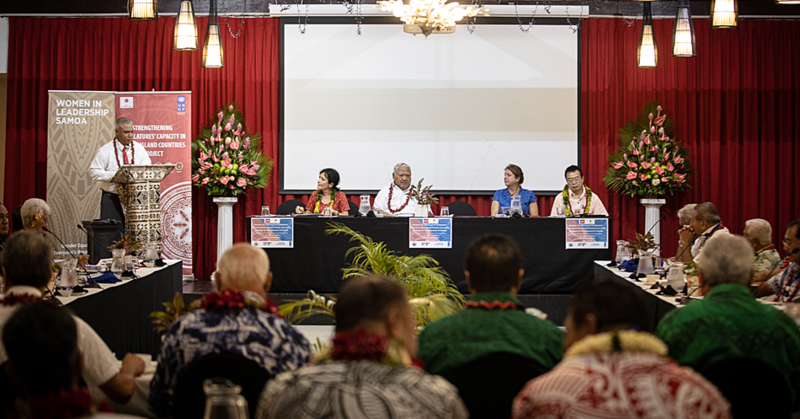 “A word for the Managing Director and his management team, I hope you will continue to develop more and more in the future with your operations, not only for our country but also for our local businesses that depend on your services for the betterment of their businesses,” Tuilaepa said.